The Castle, a principle tourist attraction in Lincolnshire needed to remain open for the duration of the works; approximately 150,000 people visit the castle every year. The Castle has an active events schedule including regular filming for Downton Abbey and The Time Team. 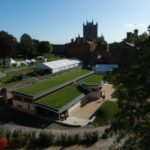 Events also include The Christmas Market, the Graduation Ceremonies of 12,000 students and the Olympic Torch Relay within the Castle grounds during the works. 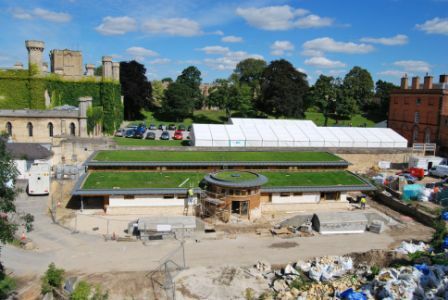 The works were just metres away from Lincoln Crown Court, the court remained open during the build. 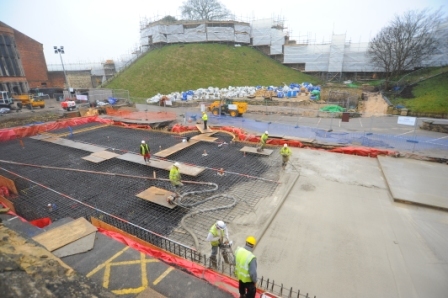 To create the foundations over 250 cubic metres of concrete were transported through the grounds of the Castle, the process took 28 hours to complete. Delivery arrangements were particularly challenging as the main gates to the Castle has weight and height restrictions in place. Specific security, safety and noise management measures were introduced, specifically during high profile cases at the Crown Court. Daily meetings with the Castle Management Team enabled the project to progress on programme whilst minimising disruption. 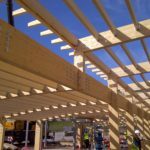 Regular meetings were held to maintain communication between Client, Architect and Contractor to effectively co-ordinate and manage design changes without impacting programme or budget. Delivery times were scheduled before the castle opened, to achieve minimum disruption. 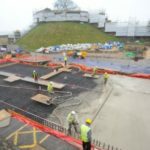 For the duration of the project, Site Manager Peter Winson was keen to involve students and young apprentices to gain valuable on site experience. Five 3rd year Architecture students from Lincoln University spent a week on a “Site Manager for the day” initiative shadowing the Site Manager learning the difficulties of transferring a design concept into a completed living building. 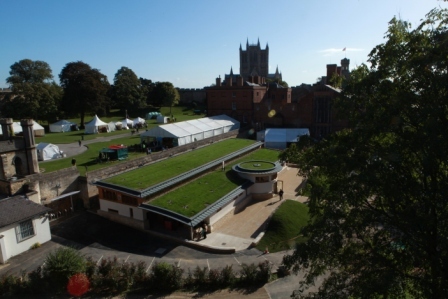 9 technical and trade students from Lincoln College were involved in a scheme of Heritage Skill activities which included hands on demonstrations, site tours and seminars about the construction of the Centre. You can see a 4 minute film of the day by searching for Robert Woodhead Limited on our YouTube Chanel. The Lincolnshire and Nottinghamshire Air Ambulance was nominated as the site Charity. We held fund raising events and a lunch to raise money during the works. 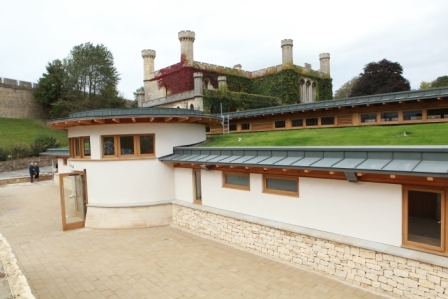 The project is designed to achieve BREEAM Very Good which is highly sustainable we adopted a fabric first approach which used sustainable timber, air source heat pumps, green roof, MVHR, Hempcrete panelling for excellent thermal efficiency results, under floor heating and rain water harvesting. Scored 36.5/40 placing the site in the top 7.5% of National sites registered to the scheme. 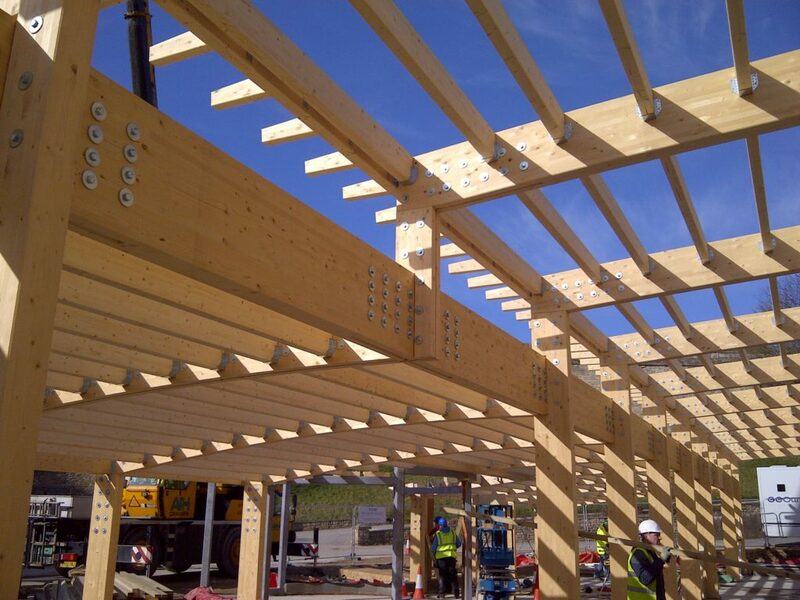 This score also resulted in a certification of performance beyond compliance from the Considerate Constructors Scheme. 88% of sub contractors, materials and plant sourced within 30 miles of the site. “Bringing in equipment and materials required some creative thinking due to the dimensions of the Castle gates. A working Crown Court meant that noise levels had to be kept to a minimum. Ensuring that the Castle’s event programme went ahead with ease posed another hurdle, not forgetting that the Castle was open to the public as a visitor attraction 7 days a week! 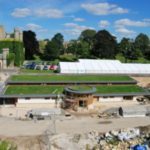 The team from Robert Woodhead have worked consistently hard to ensure that this challenging build has gone ahead with minimum disruption and with little impact on the overall visitor experience at the site”. 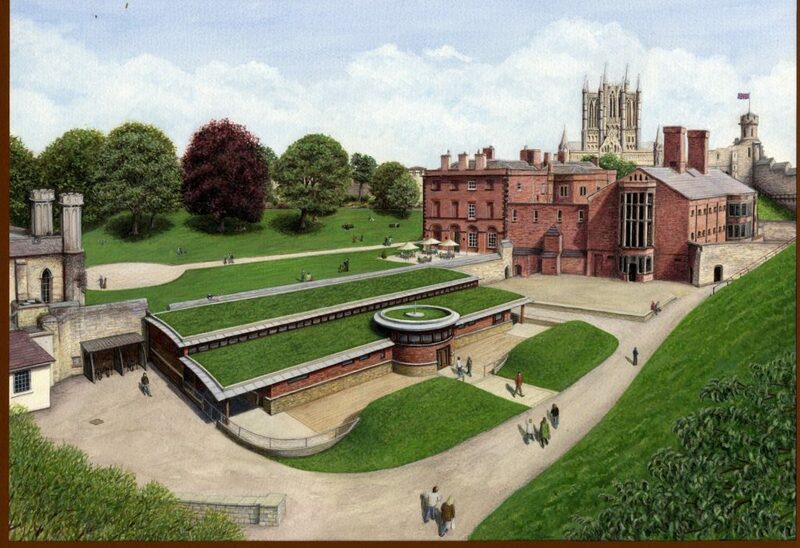 “The relationship between Woodhead and Security at Lincoln Castle has always been kind and courteous. Mindful of roles that both play, we have interacted well. It has been an honour and a pleasure”. 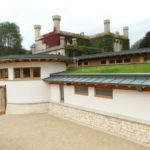 Architect: Arrol & Snell Ltd.